During Lent I was privileged to see Bishop Todd Hunter speak when he came to our home church in the Dallas area. Until that time, I was unfamiliar with his books and really knew nothing about him as a minister. But not long into his talk, I became a fan. As a result I purchased and soon scarfed down this book. Bishop Todd Hunter is an unusual minister in that he has only been in the Anglican denomination for a few years and not too long ago became a bishop. I believe this gives him great credibility in the way he tackles sin and temptation. 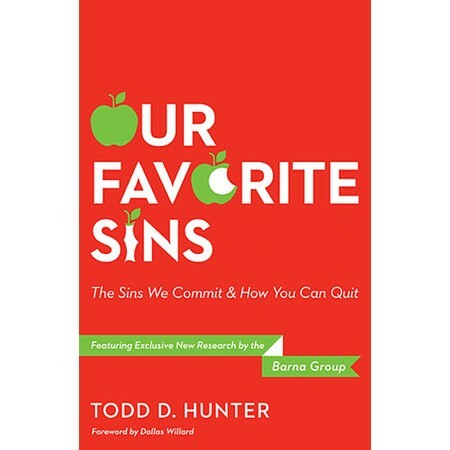 In Our Favorite Sins, with a Barna survey to back up the needed topics of discussion, Todd teaches us how to recognize our areas of weakness. Then step by gentle step, he leads us through time honored Christian practices, with a new perspective on scripture, prayer and sacraments that can bring healing and strength in times of temptation. You may be unfamiliar with the Anglican traditions of prayer and liturgy, but don’t let that keep you from reading Todd’s book. I found his approach of using the Book of Common Prayer along with other ancient writings and practices extremely powerful and very refreshing. 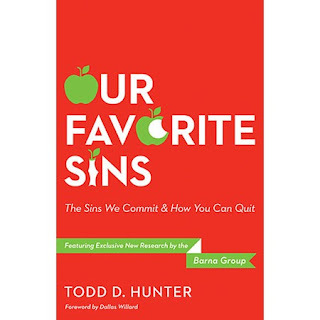 I hope you will consider reading Our Favorite Sins by Todd Hunter. It has deepened my commitment to pray through various prayer books that I own, to meditate more fully on scripture and be even more intentional to giving all my desires over to my Lord and Savior Jesus Christ. Previous PostPrevious Living Life Lessons :: LOVE YOURSELF!